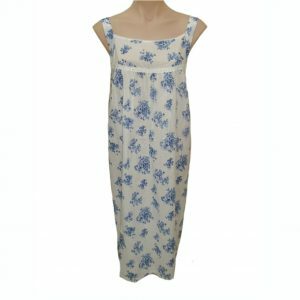 100% Cotton knit night gown with soft gathers on front lace yoke for comfort. This gown has also soft gathers on raglan short sleeve. The length of this gown is calf length. Colour is a soft blue marle.